10 x Double Wall Medium Storage Packing Boxes 18"x12"x12"
30 x Double Wall Medium Storage Packing Boxes 18"x12"x12"
200 x Double Wall Medium Storage Packing Boxes 18"x12"x12"
300 x Double Wall Medium Storage Packing Boxes 18"x12"x12"
600 x Double Wall Medium Storage Packing Boxes 18"x12"x12"
In this section you will find size 18x12x12" (457x305x305mm) double wall cardboard boxes. These are perfect for medium size / heavy items, files & folder storage, warehouse dispatches, for use as postal boxes and also perfect for use during removals / moves for your medium items that need solid protection. Also widely used for storage, and can stack on top of each other for a continued period of time. 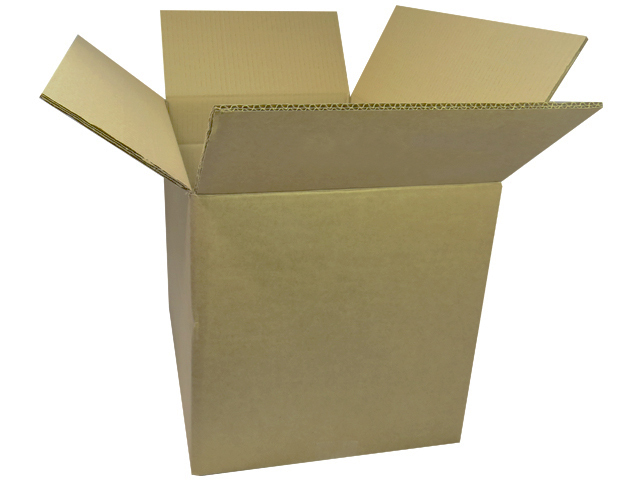 Known as 'book cartons' in the removals industry.